Feedback means a lot to us, craft entrepreneurs. 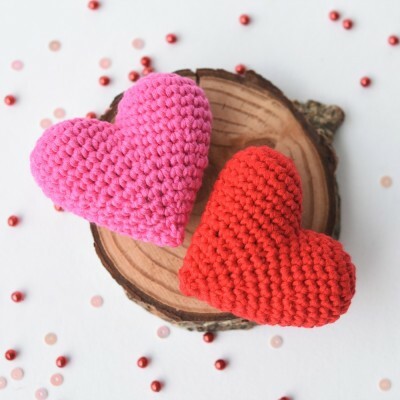 It`s so important to hear what people think of the crochet patterns I´ve written, because only then I know how to make them even better. It`s also inevitable to know if someone has found mistakes, is confused about something or feels totally disappointed. Sometimes it`s hard to accept negative criticism, but that`s what makes us work harder, right. My favourites are comments and emails where people share their emotions. A couple of days ago I received the most heart-warming letter from Bailey, a teenage girl who loves to crochet. I want to share this with you too. My heart was jumping when I read this. These are the moments I treasure the most. The moments I feel I am doing the right thing to make this world a better place. Positive feedback is also the best promotion you could ever wish for new customers or people who happen to visit your shop the very first time. Knowing what others think of the products gives the best guarantee of what you`ll get. If you`ve tried my patterns and would like to take a moment to write a short review, then please do so. It would make me sincerely happy! 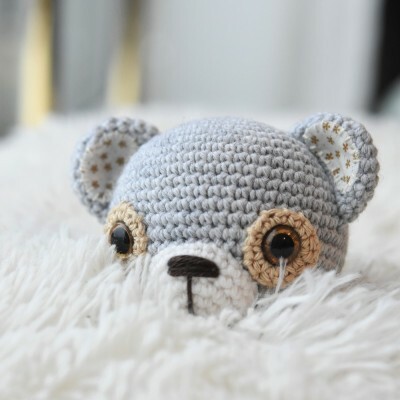 Find amigurumi patterns or crochet patterns. 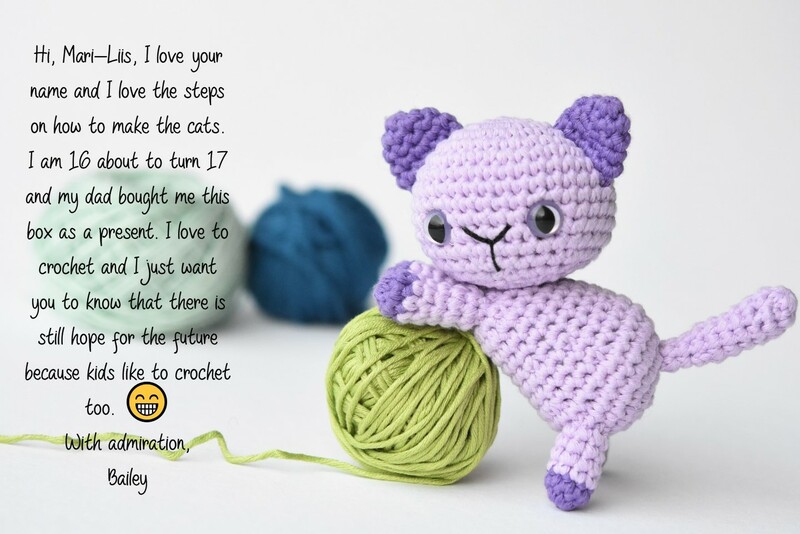 Bailey is crocheting little cats from “Crochet Kittens” kit and booklet available at Barnes&Noble. This entry was posted in Amigurumi animals, Books, Cat and tagged Book, Pattern, Small. Thank you, lillelüß, for the octopus pattern. It was easy and I love it. I have made your catdoll , now I’m ready to make a second one. I am a beginner, second winter at amigurami. Lefty. Realized after Easter I was doing everything inside out. Still struggling with tight stitches. Finished crocheting Felix the Frog and always struggle with placement of limbs, creating eyes and smile. Getting ready to plunge into purchased patterns. 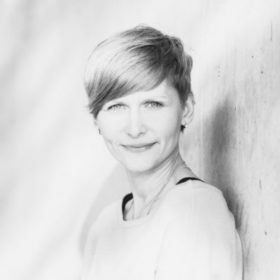 Do your purchase patterns provide more guidance to these issues? Thank you! Love your work. You are so talented. Thank you for your free patterns, helps when being a beginner. Hi! Yes, paid patterns are more accurate, especially the ones I´ve written in the last 2-3 years. You`ll find some topics about making here. Unfortunately I have no special guides for left-handed people.